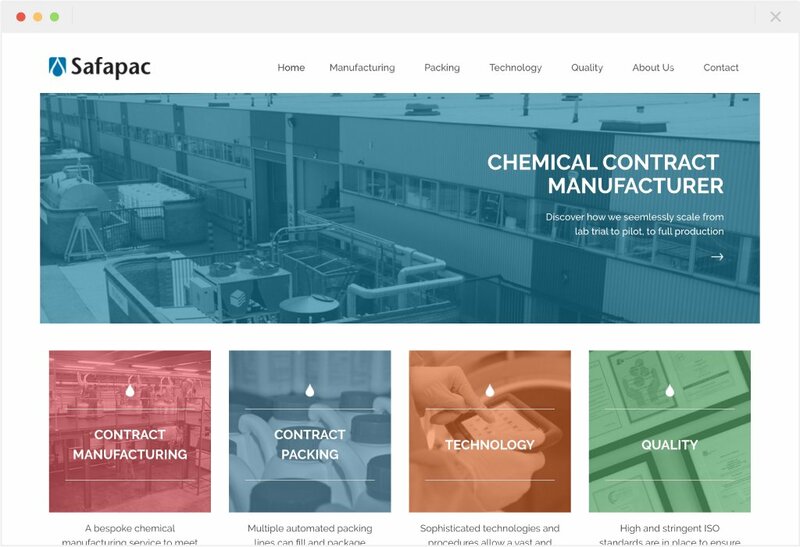 Safapac approached us to lift their existing brand and deliver a modern, professional website that raises their profile in the UK and worldwide. 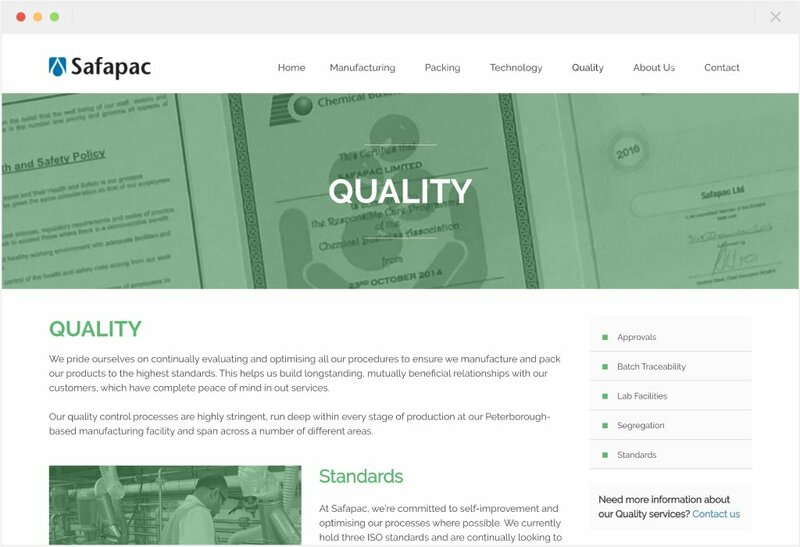 Their new website needed to work across all devices and showcase the breadth of service offering on-hand from their custom facility in Peterborough. 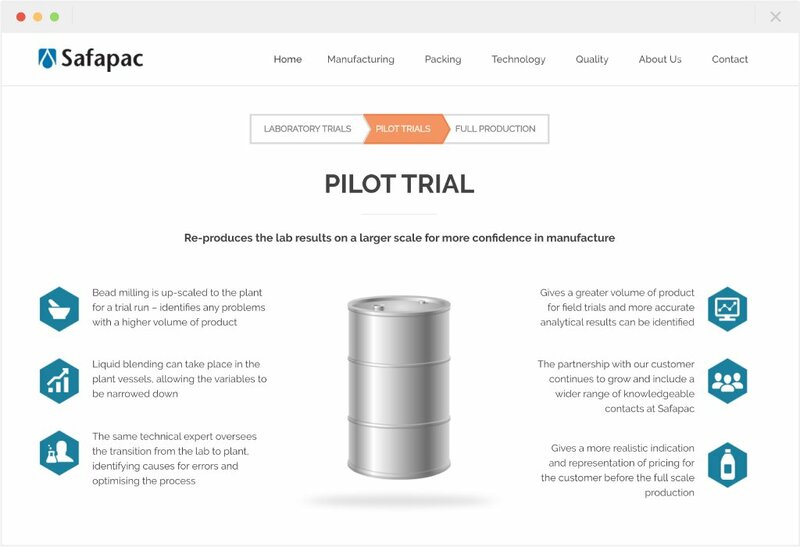 We worked with them to define a logical site structure to showcase their production capabilities, and expert copywriters Media Matters embraced the challenge to create content that resonates with their target audience. Using WordPress, we created custom tools to extend from the popular content management system. 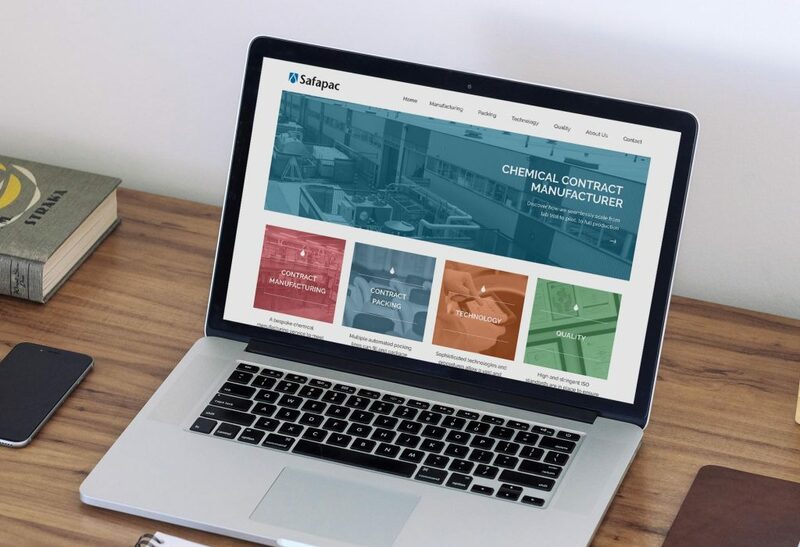 These tools allow Safapac to ensure that their website is always kept up-to-date – with news stories, downloads, vacancies and page content that suits their bespoke design and growing services. 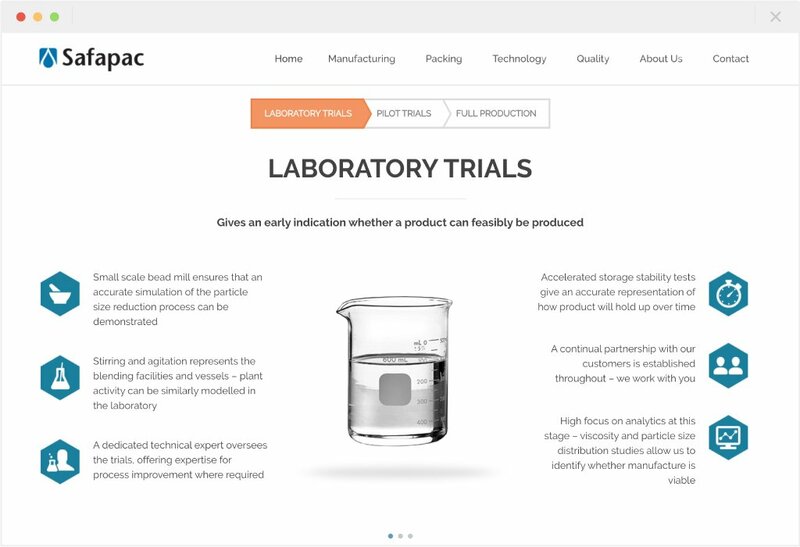 The site was optimised for SEO using keyword research, and best-practice on-page code. A secure server, ongoing maintenance agreement and optimised images and techniques for mobile and tablet experience are all part of our standard approach to quality and speed when delivering websites. Free Thinking Design provided us with a seamless, tailored service whilst building and modifying our new company website. Despite multiple changes of direction with the project, the team stayed supportive, enthusiastic and were always on hand to offer guidance..